I bring this article to the top because I wish to emphasize the first hand report in comments of a person who knows Narrows Inlet well and understands the effect on an area that should remain unspoiled. Wilderness Committee people have worked on this file and reviewed thousands of pages from documents that could not be accessed except for FOI. From my examination, this project near Sechelt appears to have had little diligent examination by provincial environmental officers. The Liberal Government made this sort of development a priority, not for the benefit of citizens, but for the benefit of a few connected corporations. They were willing to ruin not just BC Hydro but rivers and lakes throughout the province. It is a scandal that will be visited mostly on our descendants. This is only one of the shameful legacies of Gordon Campbell and his cronies. 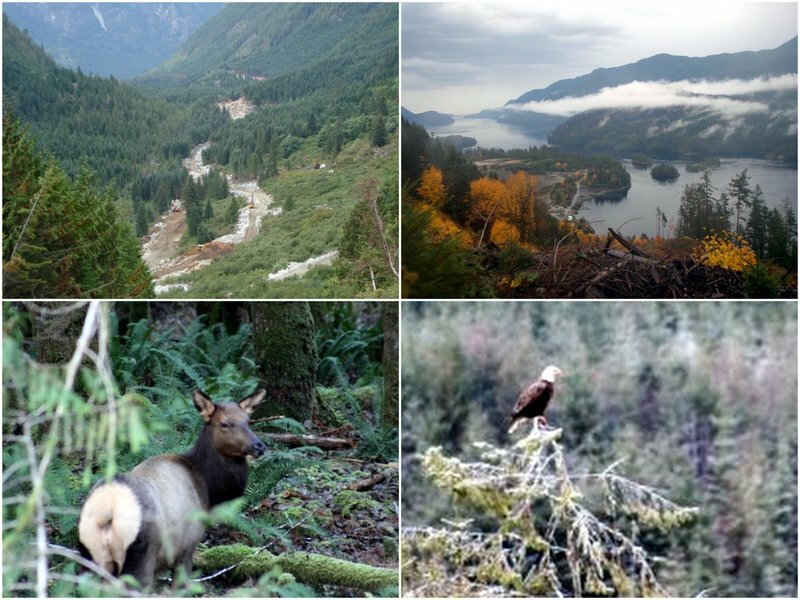 Premier Photo-Op cares nothing about British Columbia’s remote wonderlands. Providing intelligent stewardship over natural resources is hard work and she can’t do that. She’s got places to go and people to see. And cameras to stand before.. If you are moved by the Narrows Inlet story, remember similar projects are happening elsewhere with more planned. Thirty alpine lakes are at risk. Please email your MLA and ask for immediate action. Makes you wonder who was thinking what at the Sunshine Coast Regional District offices…they are advertising for Renewable Power on their ice rink zamboni….the word “Green” appears prominently. The ruin of the rivers, are an eco disaster. Drilling into lakes, destroying salmon runs and the flora and fauna. There is no end to the, Campbell/Clark BC Liberals atrocities, committed on our province. Campbell works for Harper. BC is facing even more atrocities from, the gruesome twosome. The Enbridge pipeline, threatening spills into, rivers, streams, and lands. The dirty oil tankers from China spilling into the sea. 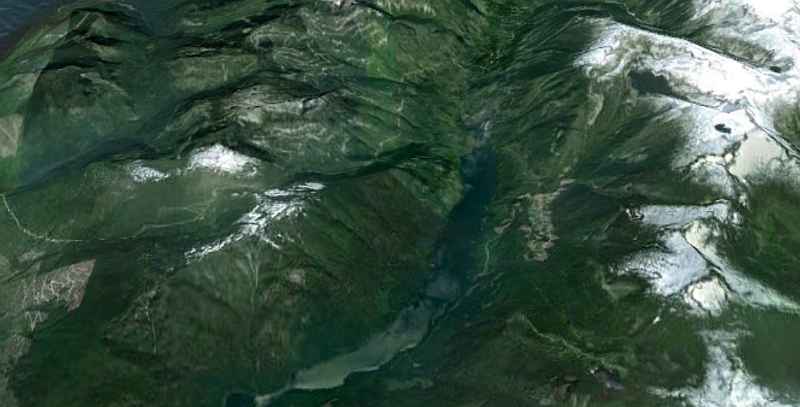 Prosperity Mine expansion, fracking for gas, and the off shore drilling of oil and gas wells, off the coast of BC. There are rumors, they want to log the Rain Forest. The Chinese freighters would use the same route as the dirty oil tankers. They can pick up our raw logs, right out of the water. Harper and Campbell deserve to be tried for treason, and be imprisoned for the utter, eco destruction of BC. Also including financial ruin. Harper and Campbell worked very hard to, dismantle BC, right into Harper's greedy hands. 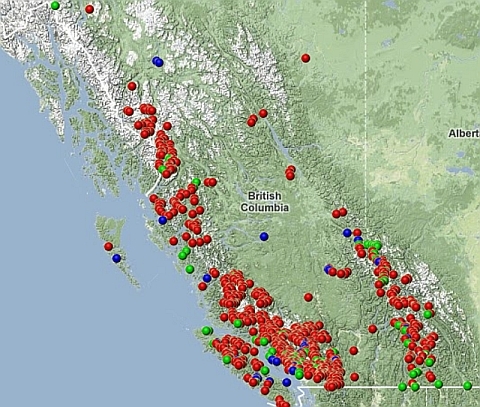 BC has 290,000 rivers and only 40 river hydro projects. Can you calculate the percentage? Where do you think our energy is coming from? It is coming from green and clean and GHG less power projects like Tyson Creek that produce power at about half the cost of BC Hydro. This benefit goes directly to the citizens of this province by keeping their power rates low. Do you have any evidence that Tyson Creek has been detrimental to the environment? A run of river project uses up about 3 to 8 hectares of land. Just compare that to property development or forestry, and you have your answer. And black is white and up is down. Readers here are well informed so casually tossing untruths will do no good. Norm what is untrue about the statements? What damage was caused to the environment by the Tyson project? How about you state some facts instead of making dire insinuations in the name of sensationalism? Why not come out and take a tour of the project before passing judgement? I will personally show you around. My family was involved in coastal logging for decades and would have been bankrupted by fines for treating streams as pictured here.The photos speak for themselves. It you want to host a group from broad based environmental organizations, the Wilderness Committee and others, and sit down for video interviews, I'd be happy to connect you with the right people. Open your entire operation to an environmental audit by experts. That would be superior to boating in one aging blogger. Of course, the issue is much larger than one project and one alpine lake. Read my article about BC Hydro's financial situation and how the utility's commitment to long term energy purchase contracts soared almost $26 billion in the last fiscal year. A small army of fraudsters have directed BC Hydro toward financial disaster. That is not sensationalism; that is fact. Sedimentation and salmon don't mix. The sediment release from Tyson happened when when Steelhead trout and Coastal cutthroat trout were actively spawning. That is one of the reasons the project was shut down. water taxis and barges…never mind the massive silt dumps. from the close in dawn to dusk wakes of wakes of constant water taxis. juvenile, “I have no boat” as if he was deaf to my offer to take him in. investigated the project he #1) assessed#2) approved… were ignored…. clean , clear, freshwater used for over 25 years and previously tested clear. who also do not contact residents. The Visual Impact Presentation at a public meeting for Ramona is two years over due. The EAO process is useless. and gravel. No culverts or cross road drain pipes. Where do you think our energy is coming from? It is coming from green and clean and GHG less power projects like Tyson Creek that produce power at about half the cost of BC Hydro. This benefit goes directly to the citizens of this province by keeping their power rates low….. In reality, our hydro rates are skyrocketing and these insiders need to be get gone ASAP. Bye bye Liberals, your time is up. The single, undisputable fact that Ramona is absolutley not “run of river”, as it has been advertised, should be enough to put an end to this irreversible mauling of the source lake. This is a link to the Mid-C electricity spot price in NW U.S. for the past year. It rarely went above $40/MWh. Yet BC Hydro is paying $100 to $140/MWh for power from new IPPs in BC. Were it not for BC Hydro being forced by the Govt to purchase IPP power, these IPPs would not get built. According to Dave Cobb, former CEO of BCH, BC Govt policy is forcing BCH to purchase hundreds of $millions worth of IPP power it doesn't need. Hundreds of millions now, tens of billions over the near future.The scale of this fraud is largely ignored by all except the alternative media. Norm, I’m sure you’ll let us know when Mr. Schober gets in touch with you for the list of contacts available to conduct the expert environmental audit and interview he should welcome given his challenge. I’ll wait for the news, but not while holding my breath. Hugh – that is patented nonsense. Mid-C prices are for spot, nongreen, and nonfirm coal and gas fired power. How can you compare that to longterm, firm, renewable, clean and green power? You are comparing apples to pears. Mid-C average price for the past 5 years has been $44/MWh. And BC Hydro is NOT paying $100 to $140 a MWh for IPP power. You are wrong again. I think you need to educate yourself on renewable power production before spewing more mythology. Nonsense Hugh – IPP power costs less than BC Hydro's own new power generation. 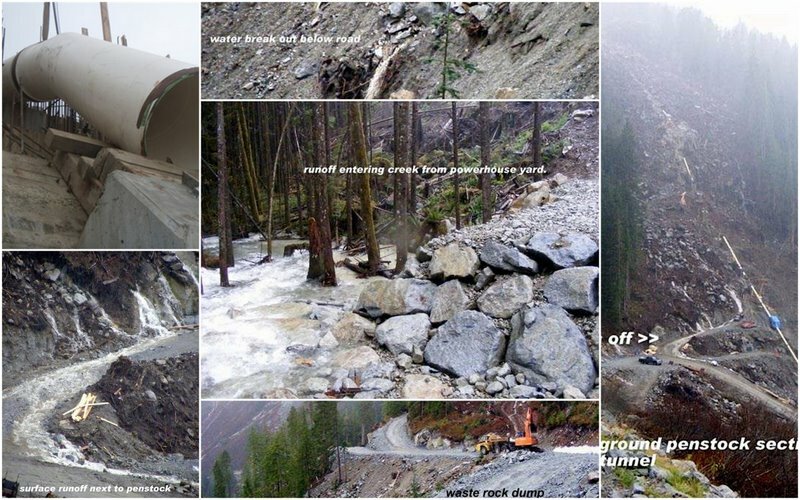 Aberfeldie, a run of river project by BC Hydro costs it $126/MWh. Site C will cost $103/MWh. IPP power for the Clean Call (i.e. power to be delivered in 2016), after taxes paid to government, will cost BC Hydro only $46/MWh — less than Mid-C (when you add the green, longterm, and firm premium to that). Norm Farrel — you call renewable power generation at costs BELOW that of BC Hydro a “fraud”. Can you substantiat this rather silly remark? In the 2010 fiscal year, BC Hydro spent $567.4 million on electricity from independent power producers. Those purchases climb to $781.8 million in 2013 and to $939.8 million in 2014. Marjorie Griffin Cohen, a political science professor at Simon Fraser University and former BC Hydro board member, said it makes “no economic sense” for BC Hydro to be purchasing so much electricity from independent power producers. “It's wrong on all kinds of levels,” she said. “First of all, it is a tremendous cost. These contracts are also indexed, which means they will never get cheaper. They are sometimes as much as 30 times what BC Hydro can sell the power for. Another issue worth exploring is the location of IPP's. They make considerably more sense if close to the existing grid (Alberni Valley has three of them) versus remote locations which need large infrastructure built to reach them. Norm…I would like to think that all your effort reporting articles like this are beginning to make these insiders start to squirm and they may begin to realize the gig is up. Those that are in deep and looking for financial gain in these matters can't be believed. The first clue that this is a scam, is that FOI requests are required to review pertinent information, that in itself tells all. Why dont you put your money where your mouth is? Load on Plutonics shares (currently $2 down from $8) or better still Innergex, pays 6% dividend – and get rich when the stock price goes through the roof!!! After all IPPs are a fraud and are being paid wads of banknotes by their Liberal buddies, innit? The returns in this business is not any more than many other businesses, about 9% to 10% on capital. But you think the returns are phenomenal. No problem, I will introduce you to some IPPs, and they will be more than happy to take your money and send you a “phenomenal” dividend check after operation 6 years down the road. Are you up to this, or are you talking out of somewhere else? And also, the $40 B commitment by BC Hydro is only on paper. The reality is that the attrition rate is 66% which should be subtracted. And then that figure includes Alcan, some of BC Hydro's own subsidiaries, Teck Cominco, Fortis, gas fired producers, etc. Neither is that figure levelized. The true number is $ 7 billion over the next 40 years ($175 M a year). And for that BC Hydro is receiving power that is worth at least $15 billion. Paisley – LOL, almost everything in the government requires an FOI request. This may be changing I believe, but if you want to get someone's email or an unpublished report, you always need to do an FOI. You can't just walk in and demand material. There is no process for that. 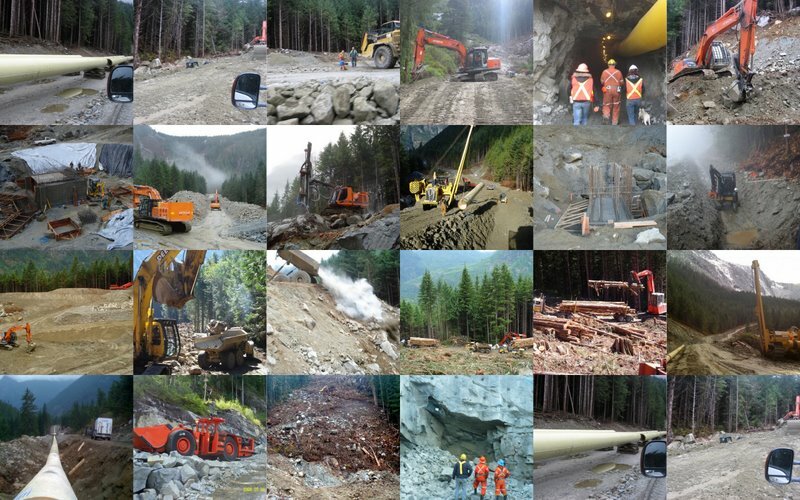 A contract adopted by BC Liberals in 2003 sets out an amount of electricity to be produced by Heritage Assets such as the Revelstoke and WAC Bennett Dams. The agreement sets 49,000 GWh of electricity per year as the maximum amount of power from Heritage Assets that can be used for domestic needs. The Heritage Contract means that any demand for electricity beyond 49,000 GWh has to be made up by the private sector. In years when domestic demand reaches above 49,000 GWh, any surplus electricity from Heritage Assets is sold on the market and IPP's make up the balance. In 2008, for example, total domestic sales reached 53,299 GWh. Heritage assets actually produced 52,140 GWh in that year and could, theoretically, have been used to meet domestic energy needs. Instead, because of the Heritage Contract, any GWh of electricity from Heritage Assets that brought domestic consumption above 49,000 GWh was sold on the open market. That's 3,140 GWh that could have been used by British Columbians. Instead it was sold for $31.9 million. In the very same year, BC Hydro purchased 7,765 GWh of electricity from IPP's even though it didn't need to purchase that much for domestic needs. The cost to ratepayers? $480 million. It is simply not true that there are no osprey, no mountain goats, no bear, no trumpeters swans, no owls, no beaver sighted as was stated. Again I challenge you to come up and see the truth. Most of the other accusations are all simply not true. Can you show me some proof that all these animals are gone? Yes Henrik, I know what FOI is all about. It was created because the bureaucracy was to incompetent to provide taxpayers with requested information in an accurate and timely manner so another level of bureaucracy was created that still can't provide accurate information in a timely manner. Thanks for the jab and thanks for the squirm. What I said was that the price of power from NEW IPPs costs BC Hydro $100-140/MWh. I was told in an email in Feb. from BC Hydro that the cost of firm energy under the recent Clean Power Call was $130/MWh. The website for the Mid-C shows that market price hovering between $20 to $40/MWh. Quite a difference. If BC Hydro is exporting to the U.S., can they charge higher than the Mid-C market rate? Thanks Hugh. Even more worrisome is that the fiscal year ended March 31, 2011 showed an increase in total commitments to purchase independent power had grown by almost $26 billion. The total commitment today could easily be over $60 billion. We can't see individual contracts but we know the producers are protected by price inflation contracts. Every citizen gains substantially by BC Hydro's low cost heritage power facilities. BC Liberals gave away those future benefits to Wall Street hedge funds and companies like General Electric.